One of my favorite things to do is find just the right gift for those I love. Finding the right toy for the appropriate age level can be a hard task. 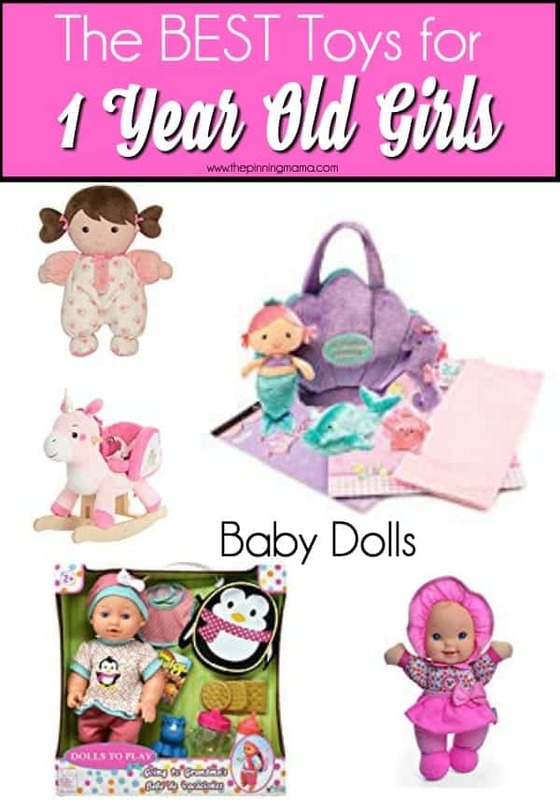 If you are buying a toy for a 1 year old girl for a birthday, Christmas, or any special occasion in between, this list is PACKED with the best ideas for toys that are fun, and both expensive and inexpensive so there is something for everyone and every budget. Little girls are so fun to buy present for. 1 year olds are just finding out what they like and don’t like. They are discovering their surroundings and learning to walk and run. I tried to find a good mix of price points so you will find big gifts and affordable gifts perfect to bring to a party as well. Some of my favorite finds are educational toys for my kids. I love that they can play with toys and learn at the same time. 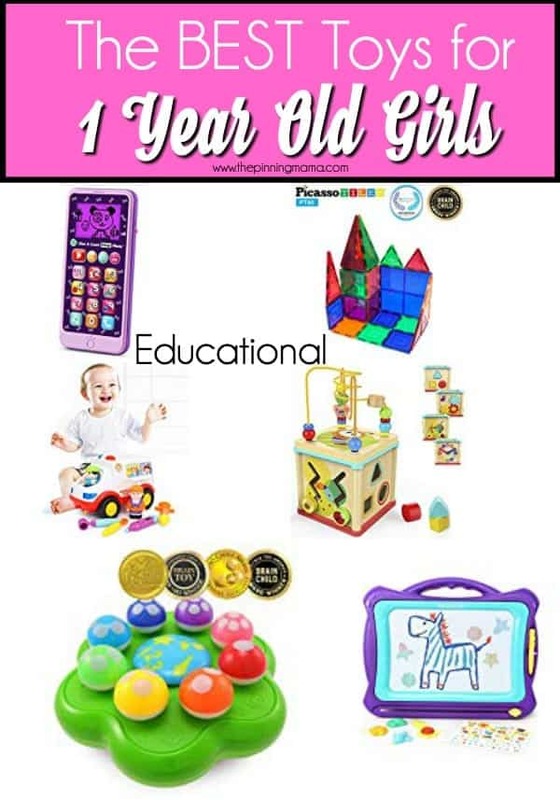 This list contains a few of my favorite educational toys for 1 year old girls. The most used time in this list is the magnetic blocks. We still use these everyday. My little girl also used her activity cube all of the time. It is a great investment and a toy you can keep around when friends visit. Anything that gets my little ones outside for a few minutes is a win for me and them. 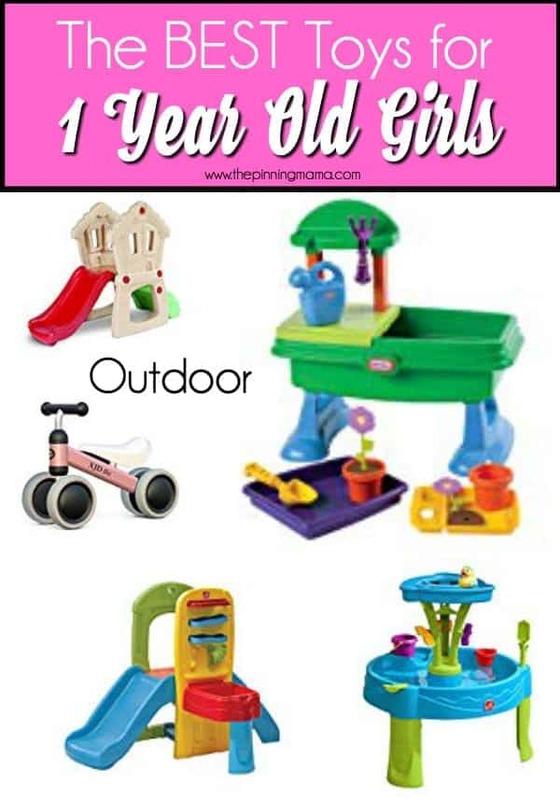 These outdoor toys are some of my baby girls favorites. The splash table is one of our most used item for outside. We have used it over and over throughout the years. Little girls are full of everything girly. My little girl is drawn to everything to do with pretend play. She loves to dance around like a princess. Imaginative play is great for their brain development. One of my little girls favorite toys is the Musical Rainbow Tea Set. She loved this set and used it all the time to host tea parties with her stuffed animals. These toys are perfect for you little girl as she learns to walk and run around. Little ones are always so unstable when they first start walking, and these toys are a perfect way to teach them how to use their muscles. 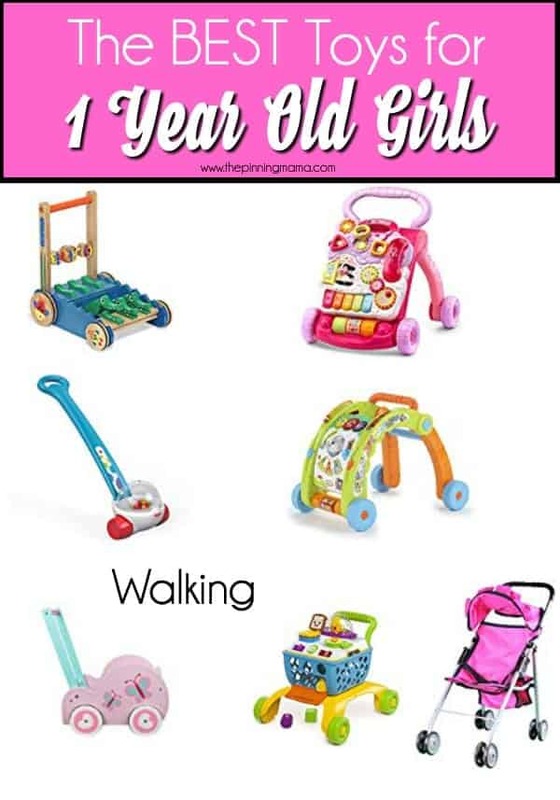 The most used toy on this list is defiantly the doll stroller. My little one loved this stroller and used it for years. It seems like at such a young age little girls love to pretend like they are mothers. They mimic everything we do by watching us. My little princess has loved babies ever since she could hold them in her arms. All of this babies are perfect in their own way. My little girl loved babies that she could pretend to feed with a bottle. You can check out my list of list of BEST gifts for a 1 year old girl for more ideas and inspiration. 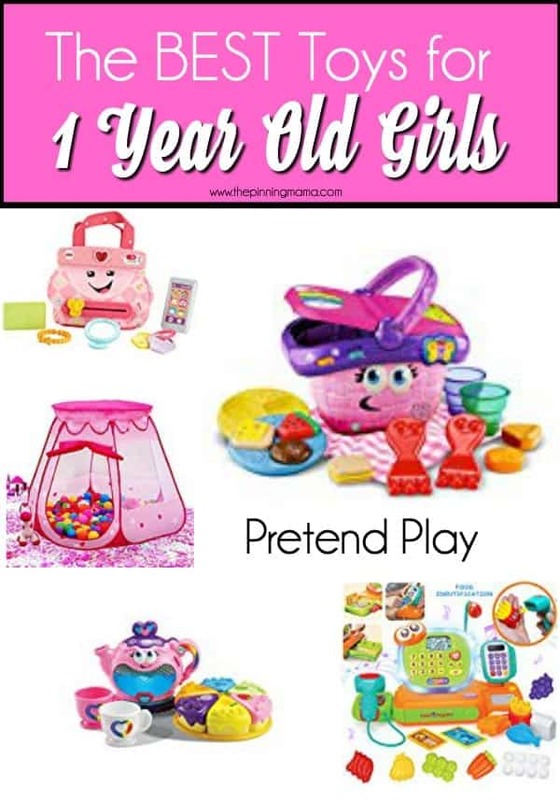 Any of these toys would bring a smile to your little girls face! It is amazing how much playing with toys can help your little one grow and learn! If you have any additional toy ideas for 1 year old girls, please comment below, I love to hear from my readers.